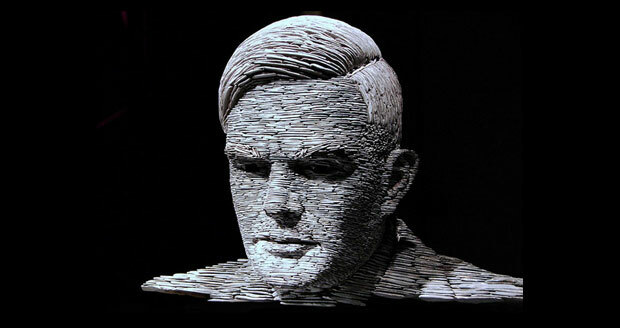 Alan Mathison Turing was born on June 23, 1912. Turing was a British mathematician, logician, cryptanalyst, and computer scientist. Turing has been noted as being highly influential in the development of computer science. He was born in London to father Julius Mathison Turing and mother Ethel Sara. He had an elder brother John Turing. Due to Turing father being active in civil service, the couple travelled between England and India leaving both their sons to be cared for by a retired Army couple. Turing was first enrolled into St. Michael’s, a day school and then into Leonards-on-Sea at the age of six. In 1926 when Turning had reached the age of thirteen, he attended Sherborne School. After completing studies at Sherborne, Turing was accepted to King’s College, Cambridge from 1931 to 1934 as an undergraduate where he earned a first class honors in Mathematics. By the age of 22, Turing was elected as a fellow at King’s due to the strength of his dissertation on the central limit theorem. The “Turing” machine was invented in 1936 by Alan Turing who named it as “a-machine”; automatic machine. It is a hypothetical device that manipulates symbols on a stripe of tape in regards to a table of rules. It was used to stimulate logic of computer algorithms and to explain the functions of a CPU inside a computer. Later on from 1936 to 1938, Turing spent his time studying under Alonzo Church at Princeton University. He obtained his PhD from Princeton University in 1938 for his dissertation Systems of Logic Based on Ordinals. In the dissertation he introduced the concept of ordinal logic and relative computing. Turing then returned to Cambridge University where he began to attend lectures by Ludwig Wittgenstein that were about the foundations of mathematics. He also began working part-time with the Government Code and Cypher School (GCCS). Turing became the leading participant in the breaking of German ciphers at Bletchley Park during World War II. He concentrated on Cryptanalysis of the Enigma with the senior GCCS code breaker Dilly Knox. When the United Kingdom had declared war on Germany in 1939, Turing was reported to Bletchley Park which was the wartime station of GCCS. He used crib-based decryption to produce the functional specification of the “bombe”. Other wartime advances that Turing made were deducing the indicator procedure used by German navy; developing a statistical process for making more efficient bombes which were named Bnburismus; developed process for working out the cam settings of the wheels of the Lorenz SZ 40/42 which was named Turingery. During the end of the war, he developed a secure voice scrambler at Hanslope Park which was then code named Delilah. Turing made a major contribution to the code breaking process. Discussing mathematical approaches to code breaking were written in his papers report on the application of probability to cryptography and Paper on statistics of repetitions. Both these papers were of such value to the GCCS and later its successor GCHQ that they were not released to the UK National Archives until April 2012. Turing was awarded the OBE by King George VI for his wartime services on 1945; however, his work for that time remained a secret for many years. Turing was found dead by his cleaner on June 8 1945. Post-mortem reports established that the cause of death was cyanide poisoning.